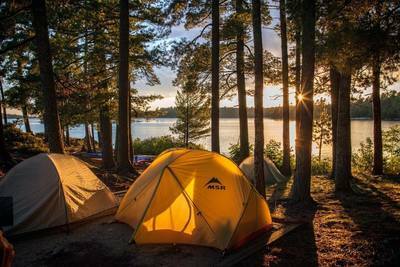 ​Voyageurs National Park was established because of the spectacular scenery, rich natural resources and vibrant history. 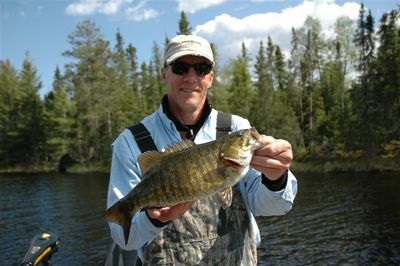 The Park encompasses four large lakes and the remote Kabetogama Peninsula. The park includes the key crossroads in the waterway trade network plied by the Voyageurs the park is named for. International Falls is the main Gateway Community and the main Visitor Center is located on Rainy Lake at Black Bay. 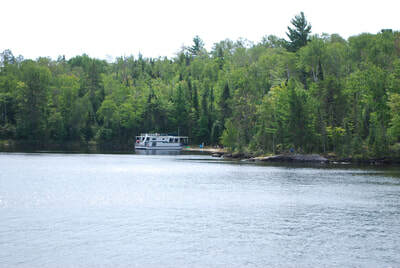 A large boat ramp and parking area at the Visitor Center provide easy access to Rainy Lake. You will also find a display of historic artifacts inside the Visitor Center along with a theatre to show various films and documentaries about the Park. A picnic area, shoreline fishing area and self-guided natural trail are also available. 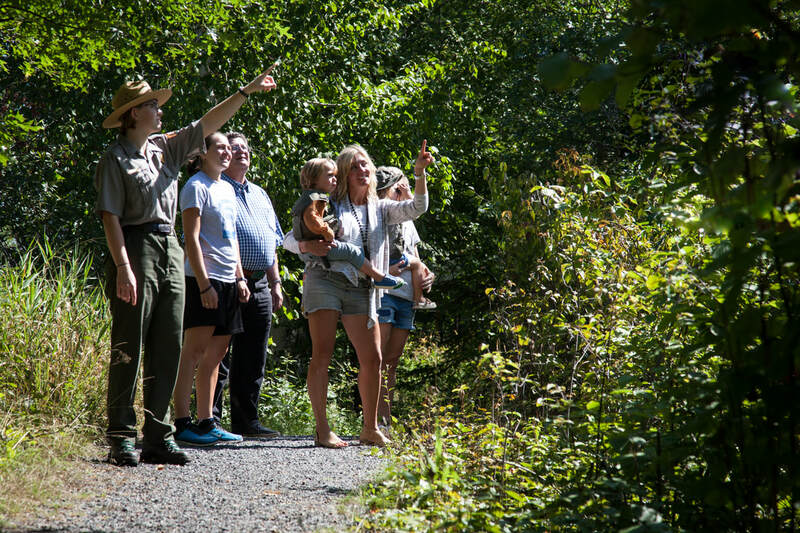 National Park Service Rangers conduct regular educational programs at the center and often accompany boat tours. The “Voyageur” tour boat departs from the Visitor Center docks. 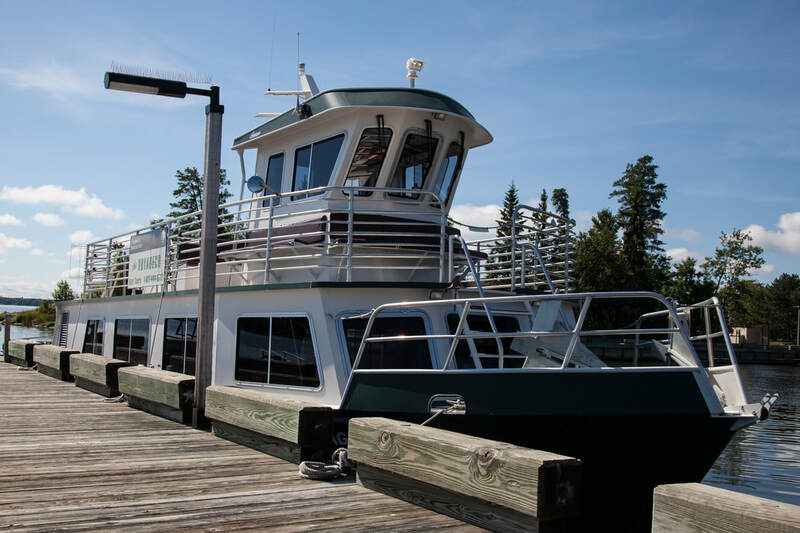 The schedule includes a discovery cruise to introduce visitors to the Park; The Grand Tour, which includes a stop at the Little American Island Gold Mine for a hike; and the Kettle Falls Cruise, a full day trip to a remote and fascinating historic point of interest. North Canoe Voyages get you right up close and personal with the Voyageur history as you will help man the 26 foot cargo canoes the Voyageurs used. Family canoe trips can be arranged at the Visitor Center as well, you can explore for a couple of hours for FREE. The Voyageur tour boat departs from the Rainy Lake Visitor Center dock. The schedule changes on a yearly basis but often includes a Discovery Cruise to introduce visitors to the park, a Grand Tour which includes a stop at the Little American Island for a 1⁄4 mile hike through the remains of the gold mines, and a Kettle Falls Cruise – a full day trip to a remote and fascinating historic hotel. 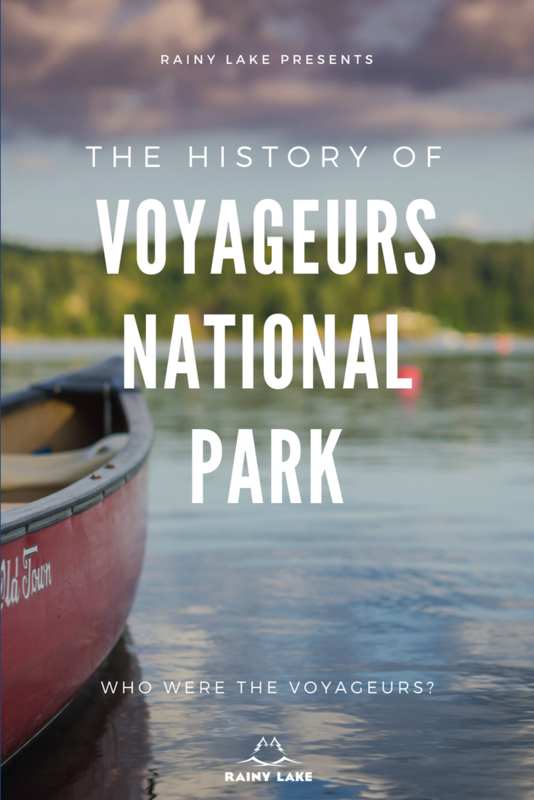 North Canoe Voyages get you up close and personal with the history of the French-Canadian canoemen – the voyageurs. Paddle a 26-foot North Canoe with 12 other participants and sing voyageur songs all while learning the life of a voyageur. 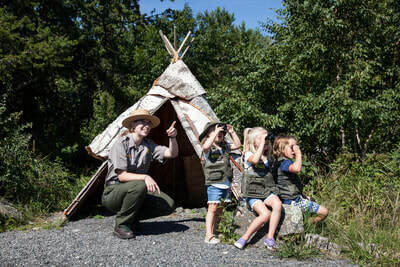 The park offers 5 different Junior Ranger booklets to help young and old alike explore the park. From the Night Sky to the Ojibwe Indians, learn, earn your badge and help protect the park. 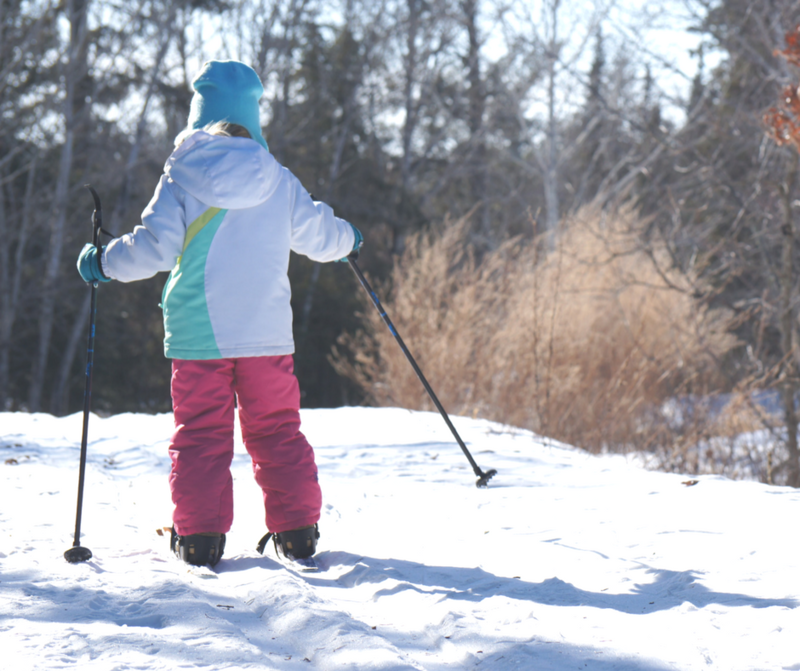 Voyageurs is open year round and offers excellent opportunities for recreation in any season. From camping, hiking, fishing, wildlife watching and other summer fun to ice fishing, snowshoeing, skiing or snowmobiling in the winter. 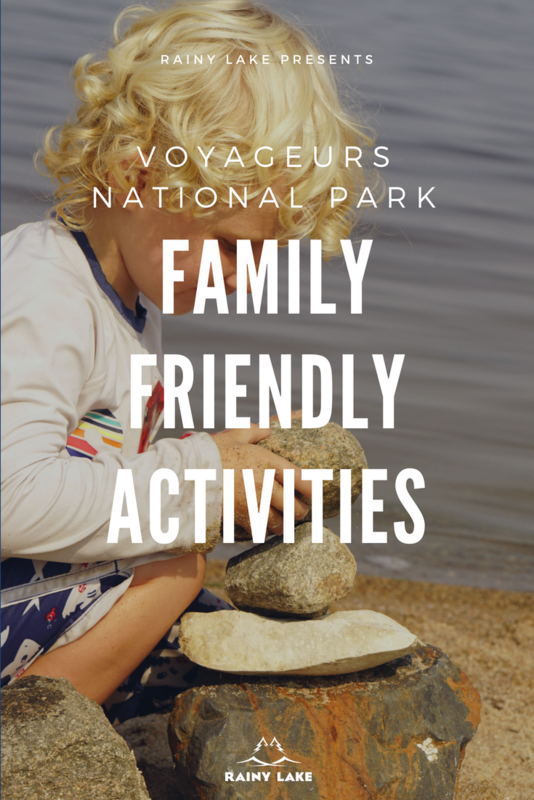 Voyageurs National Park is open year round and offers excellent opportunities for recreation in any season. 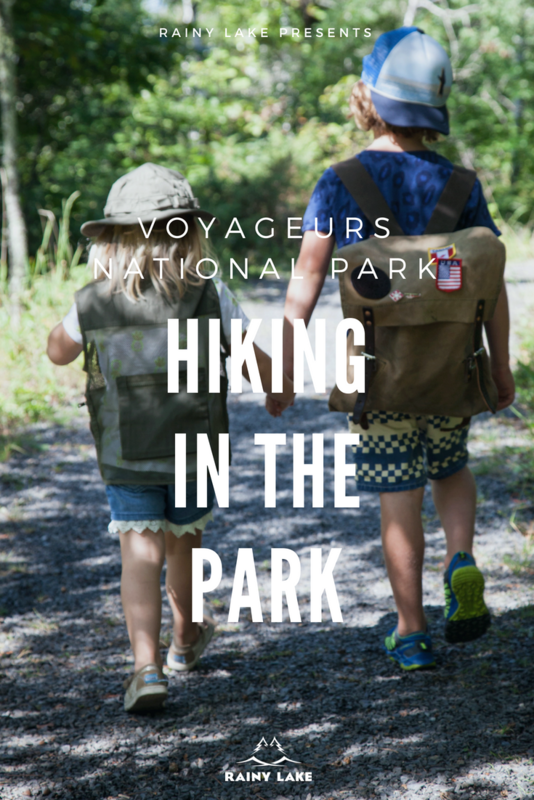 From camping, hiking, fishing, wildlife watching and other summer fun to ice fishing, snowshoeing, skiing or snowmobiling in the winter. Winter brings a definite change to the area. Frozen lake surfaces cover much of the park with a blanket of white hovering above the ice. This is the time of year when wildlife hibernates, migrates or thrives in the beauty and life the park offers. Winter is a time when white-tailed deer, moose, and wolves can be seen crossing the frozen lake surfaces, when black bears sleep the winter away yet bear young, and even though the eagles migrate south, the Aurora Borealis glow strong and dance across the sky. Winter is a time when the park comes alive if one knows where and when to look. When snow covers the landscape, four designated trails in the park become a snowshoer’s winter wonderland. The Black Bay Beaver Pond Trail is located just north of the Rainy Lake Visitor Center and offers modest, yet hilly terrain. It winds its way to an active beaver pond and back the same way. Visitor can explore the white pines of the park on this trail. The Oberholtzer Trail is located just outside of the Rainy Lake Visitor Center. It is 2 miles and winds through an aspen forest, through wetlands, and through the red pines of the park. There are also two more trails – Blind Ash Bay and Sullivan Bay Trails located near the south end of the park. The trails range from easy to moderate terrain. 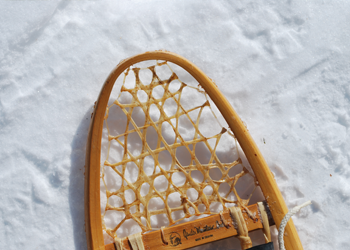 Free snowshoes are available for check-out at the Rainy Lake Visitor Center during regular winter hours. 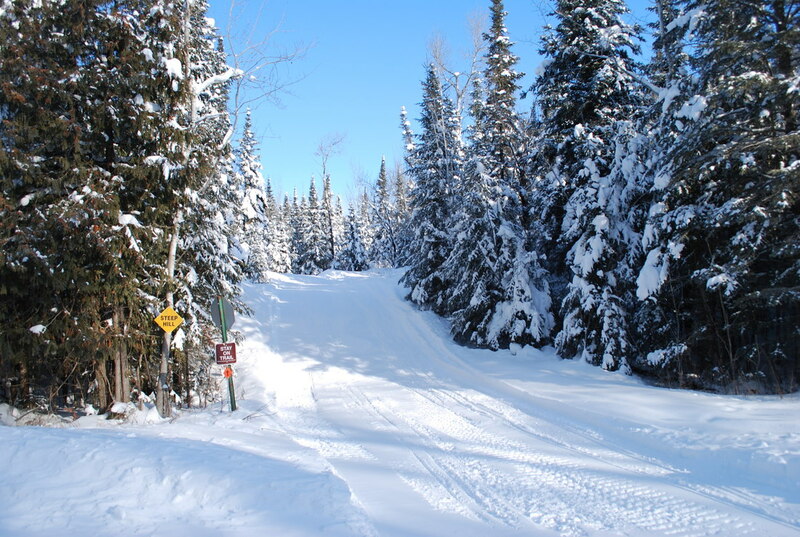 Voyageurs National Park offers 3 different groomed crosscountry ski trail systems – Black Bay, Echo Bay, and Tilson Connector Ski Trails. The trails range from easy to moderate. However, for a more rugged and solitary experience, the ungroomed Kab-Ash Ski Trail is also available. The park rents skis at the Rainy Lake Visitor Center during regular winter hours. There is a wide range of skis, poles, and boots for the youngest to the oldest for free. 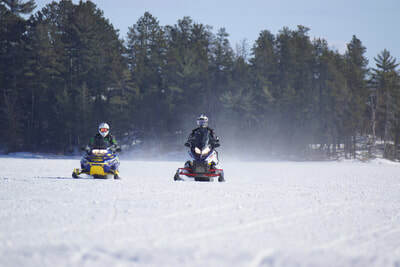 Voyageurs National Park is the nation’s only national park that provides groomed snowmobile trails, in the heart of a park, without the use of a road system. There are over 110 mile of groomed trails within the park and this effort is supported through the cooperative assistance of the International Voyageurs, Crane Lake Voyageurs, and the Ash River-Kabetogama Snowdrifters Snowmobile Clubs. This unique experience provides wonderful opportunities to observe wildlife, including wolves, and the scenic splendor offered through the geologically diverse rock formations. Come enjoy this unique and wonderful experience while taking in the comfort of area resorts. 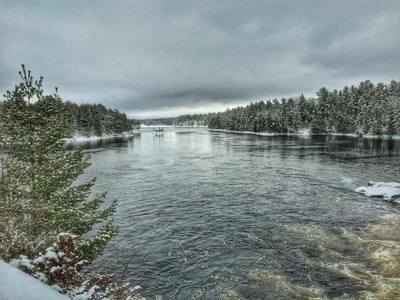 Voyageurs National Park maintains two ice roads during the coldest times of the season. Visitors who wish to enjoy the beauty of the park in the comfort of their own vehicle may do so by exploring the park on the maintained ice roads. 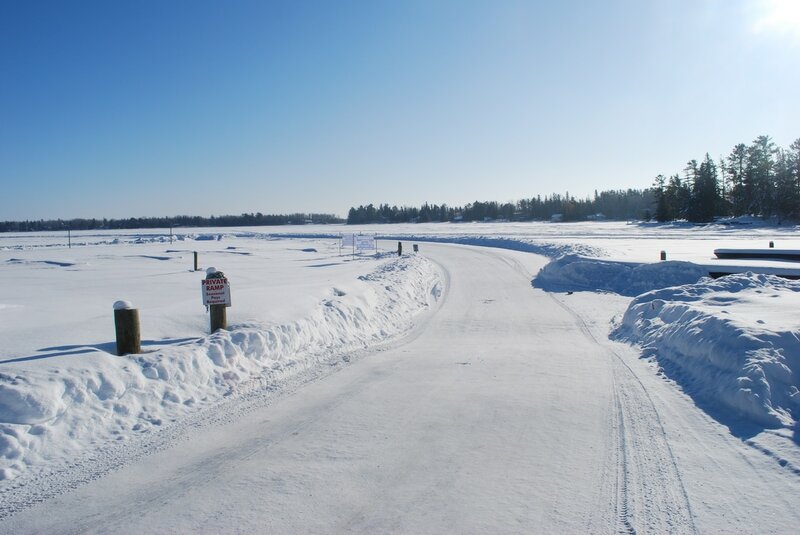 This 7-mile road extends from the boat launch ramp at the Rainy Lake Visitor Center and goes to either the mouth of Cranberry Bay or around Dryweed Island depending on ice conditions. Visitors are welcome to check at the visitor center for the most up-to-date information. 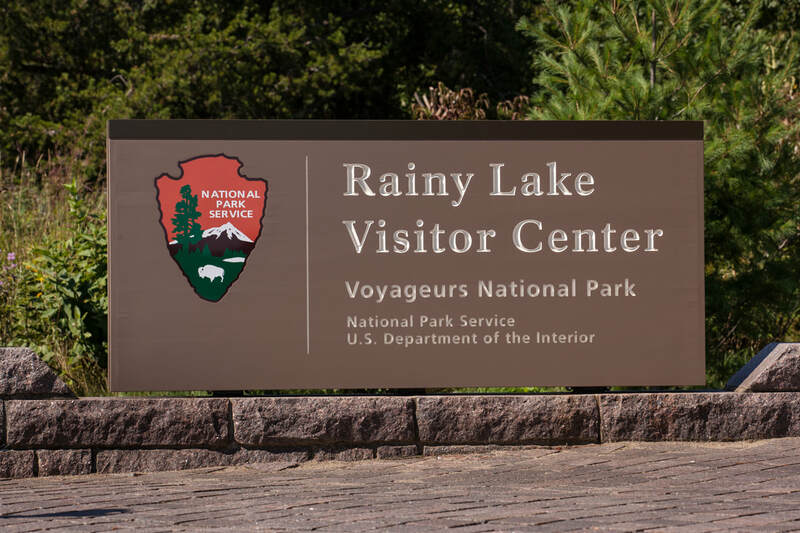 This 9.3 mile road starts at the boat launch ramp at the Kabetogama Lake Visitor Center and connects to the boat launch ramp at the Ash River Visitor Center.